A high performance, air-entrained, packed CEM II cement. Suitable for use in concrete, mortar, render and screed, it also provides improved workability and has an enhanced resistance to frost. 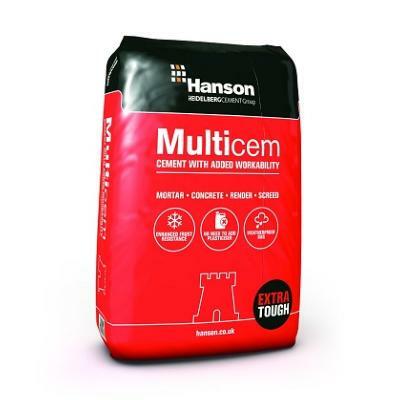 Multicem is designed specially to give the ease of spreading and water retention necessary for mortars, entraining air and contributing to superior plastic properties in concrete and enhanced durability to frost in hardened mortar and concrete.